If you are planning a trip to Portugal, why not consider including a visit to the islands of the Azores as part of your trip. 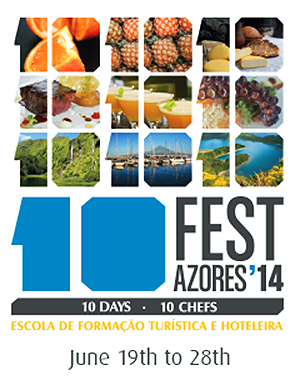 A visit to the Azores combines the best of an island vacation with European culture, history and food. Located about 900 miles west of Lisbon in the North Atlantic Ocean, the Azores is an archipelago that consists of 9 volcanic islands. The islands were discovered in the 15th C. by Portuguese navigators during Portugal’s Age of Discovery. Besides offering a temperate climate and miles of beaches, the Azores also attracts many visitors who are looking for activities such as trekking, golfing, diving, paragliding, boating and kayaking. 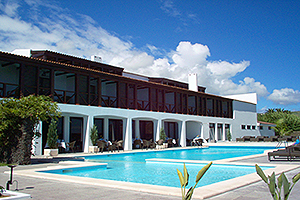 The Pousadas of Portugal offer hotels on the islands of Faial and Terceira. The island of Faial is often referred to as “the blue island” due to the large amount of hydrangeas that bloom in the spring. For centuries it has served as an important sea port and a stopping port for a large number of yachts crossing the Atlantic. The town of Horta is well known for its famous yacht harbor. Terceira is often referred to as “lilac island” and took its name from the fact that it was the third (terceira in Portuguese) island to be discovered. The historic city center of its capital, Angra do Heroísmo, has been designated as a UNESCO site due to its many historical sites. 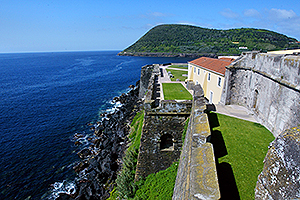 Pousada de Angra do Heroísmo (Terceira) – located in the historic center of town, the pousada sits on a cliff on the site of the 16th C. fortress known as the Castellanos de São Sebastian. Pousada da Horta (Faial) – classified as a National Monument in 1947, the pousada is housed in the 16th C. Santa Cruz Fort on Horta Bay overlooking the renowned harbor and nearby Pico Island.